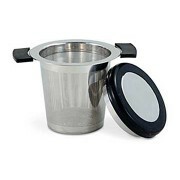 This stainless steel infuser is a convenient way to brew any loose tea or herbal tisane. 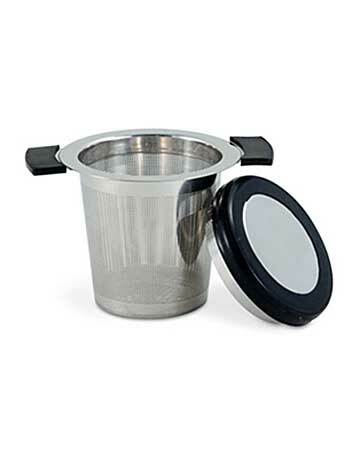 The unique design allows the tea leaves to expand fully for the best flavor, and does not allow the leaves to seep through the strainer. It measures 4 high by 2 ¼ wide. 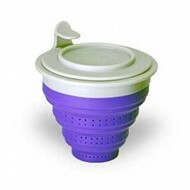 The side handles hold the infuser firmly in place on your tea cup or travel mug. 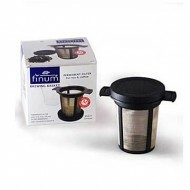 The drip cover catches any remaining liquid in the infuser while you wait for that second cup. 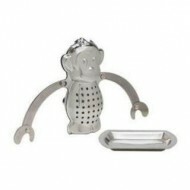 Perfect for a mug or a 2-3 cup teapot. 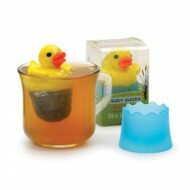 You'll never use teabags again!